The phrase community represents one of our three core values in the School District of Milton. 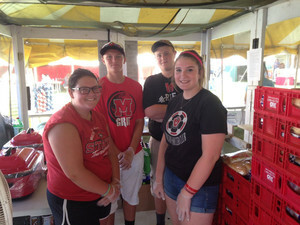 As such, Milton High School students have the opportunity to give back to their community through community service opportunities and earn a Silver Cord to wear at their graduation ceremony. 200 hours of approved community service during your time at MHS earns a student the recognition of wearing a Silver Cord during graduation, and more importantly, the knowledge that through your educational experience, you also helped make our community a better place for all. Informational links about the program and the form to request Silver Cord hours are both found below. **ATTENTION CLASS OF 2019, 2020, and 2021, all Silver Cord entries must be entered online. Paper forms for the Class of 2019, 2020, and 2021 will no longer be accepted!